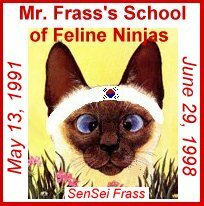 It's great fun to visit other cat sites on the WWW. 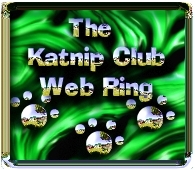 Since I am such a social kind of kitty, I belong to many web rings. 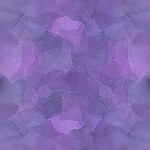 Some of the links are on my other pages, but I have put these on their own page for easy reference. Click on a ring and start your journey! Want to join the The Animal Welfare Ring? This CLAW Ring site is owned by Slurpee. Next Skip Next Next Five Previous Skip Previous Want to join the ring? Click here for info. This Cat's Meow Ring site is owned by Slurpee. 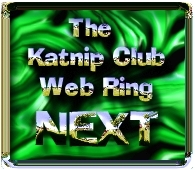 Want to join the Katnip Club? Home page Family Pictures DC Animal Shelters, etc.